before a temporary tag can be issued on your vehicle. All former and current military be sure to check out specials at USAA! Please note: Our ads on Craigslist or any other search engine may show sold vehicles up to 30 days after selling. Our website is most accurate. More photos at PATRIOTMOTORSINC.COM or call us at 719-368-8089 today to schedule your test drive. Make sure Google does not send you to our old address on Hancock Ave.
NEW LOCATION AT 3513 N. EL PASO ST. 2 BLOCKS EAST OF N. NEVADA AT WINTERS NEAR THE OLD GREYHOUND PARK. Service Contracts through Alpha and AUL are available on most vehicles including higher mileage vehicles. We can get discounts for our customers on some maintenance items like a new timing belt and vehicle accessories through our extensive list of vendors. or call us at 719-368-8089 today to schedule your test drive. Hours are 9:30 to 6pm Monday-Friday and Saturdays 9:30 to 5pm. 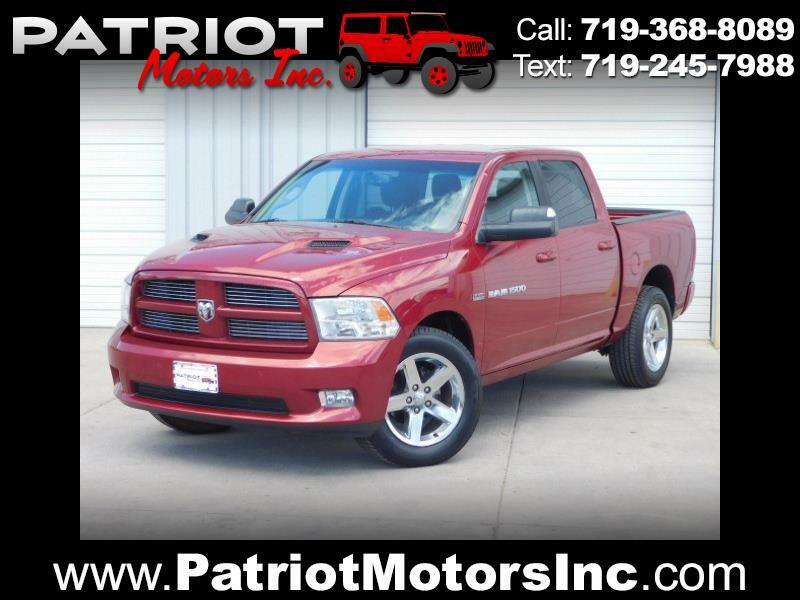 Message: Thought you might be interested in this 2011 RAM 1500.